The tank capacity of the vehicle is 2000kg, the capacity of tanks is 2.000 cubic meters, the tank size (length x Width x Height): 1520x1100x1250 (mm), the fireman is calculated by 75 kilograms/person, side protection and rear protective device material material: Q235, skirt edge structure; Rear-bottom Protective device height: 404mm. high pressure water for fire against,fire controll and fire fighting works. 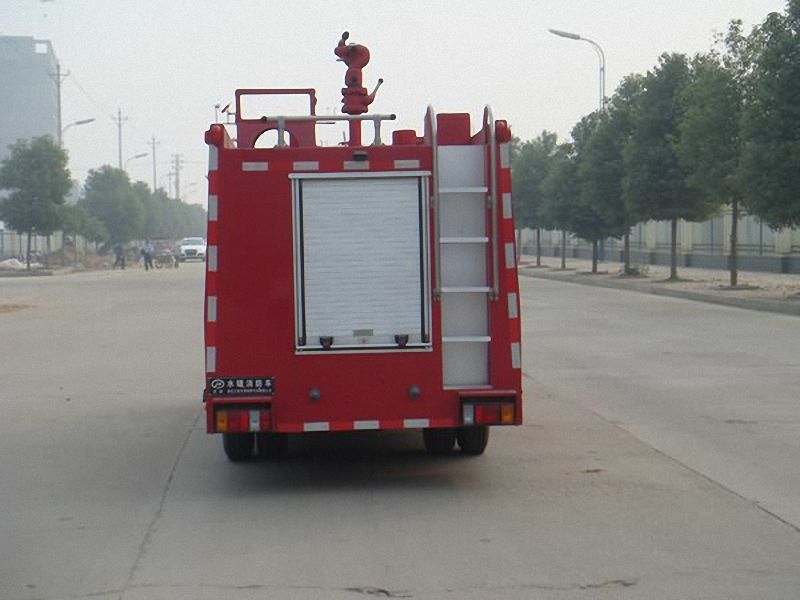 This product is mainly used for large and medium-sized cities in chinese professional fire brigade in the fighting against buildings,forests,as well as oil ,chemical industry,fact-altitude water supply,mobile pumping stations. 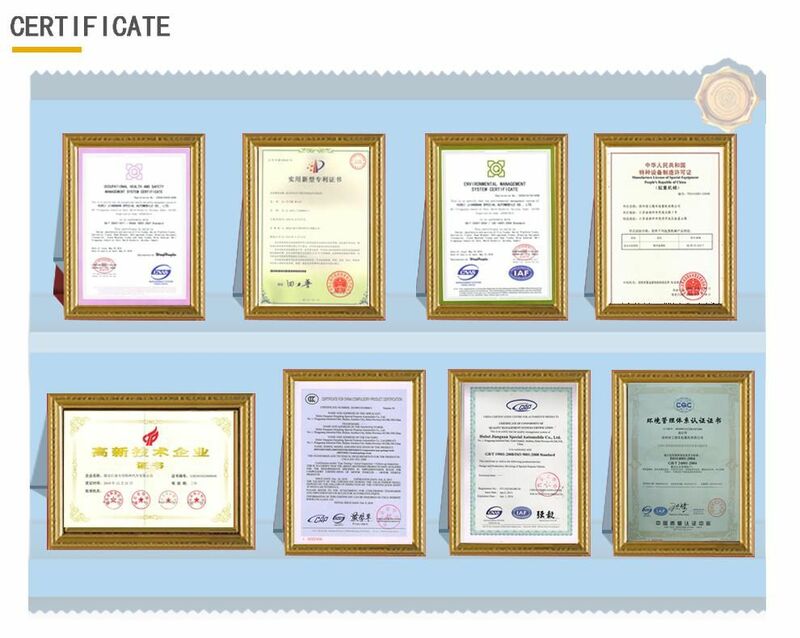 Our plant the adoption of a comprehensive international iso9001-2000 quality system certification,product certification 3C through a comprehensive,well-known domestic brands,trusted products in Hubei Province. Currently the fire truck has three main design. water fire truck, foam fire truck, powder fire fighting truck. Water tank fire engine truck form 3000~18000 liters. Powder tank fire rescue tank truck from 3000~18000 liters. 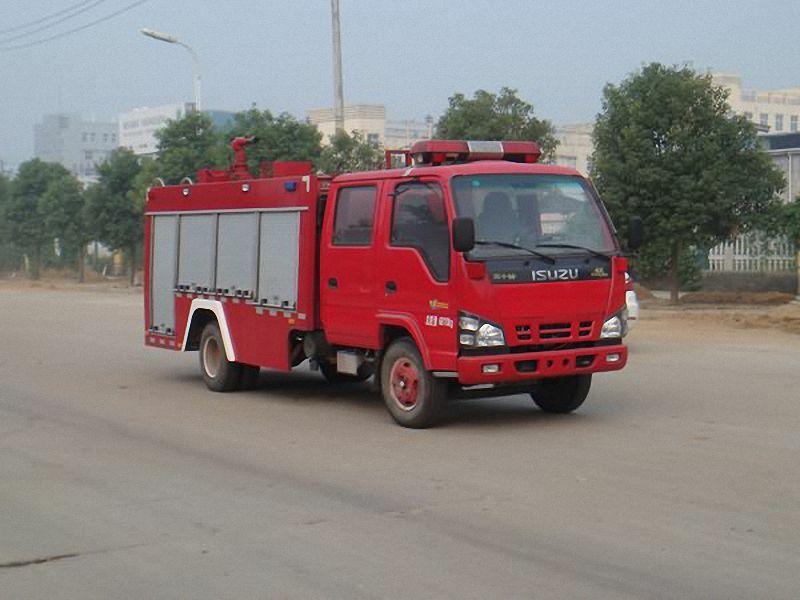 Looking for ideal Pumper Fire Truck Manufacturer & supplier ? We have a wide selection at great prices to help you get creative. All the Pumper Fire Trucks for Sale are quality guaranteed. 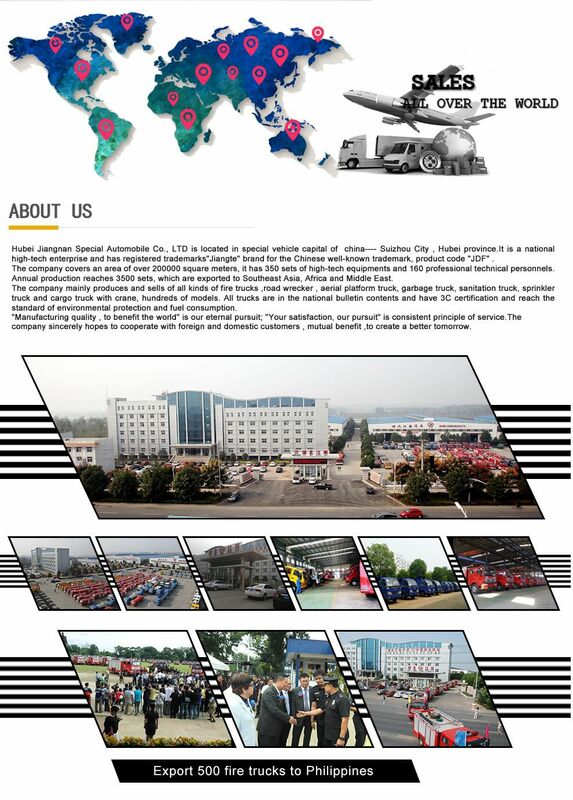 We are China Origin Factory of Pumper Tanker Fire Trucks for Sale. If you have any question, please feel free to contact us.